Detail of a personnel record. Archives New Zealand, R20520210. When you signed up to fight for 'King and Country' in the First World War, a personnel file about you was started by the army. This contained several documents, including the history sheet shown here. 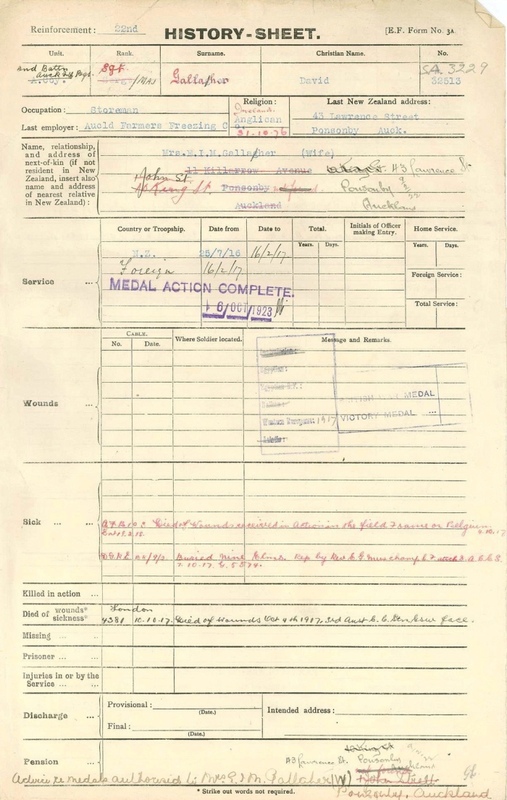 Over time this file grew to contain information about the units in which you served, any injuries or illness, changes of rank, awards and medals received, and other details. Descriptions of battles weren't included. The file is just one of a number of different sources we can use to piece together the history of New Zealand military personnel. Everybody’s file looks the same – but the particulars of their experiences differed. This history sheet is for Dave Gallaher, who had captained the All Blacks rugby team. It records how he “died of wounds received in action in the field, France or Belgium.” It also reminds us that many of the men who served in the First World War left behind wives and families, and had working lives outside the military. History sheet for Dave Gallaher. Archives New Zealand, R20520210. Archives New Zealand in Wellington has the New Zealand Expeditionary Force personnel files from 1914 to 1920 for you to request and view. They are also steadily being made available online, and many are linked to from pages for people who served in New Zealand armed forces on the Auckland War Memorial Museum Online Cenotaph. 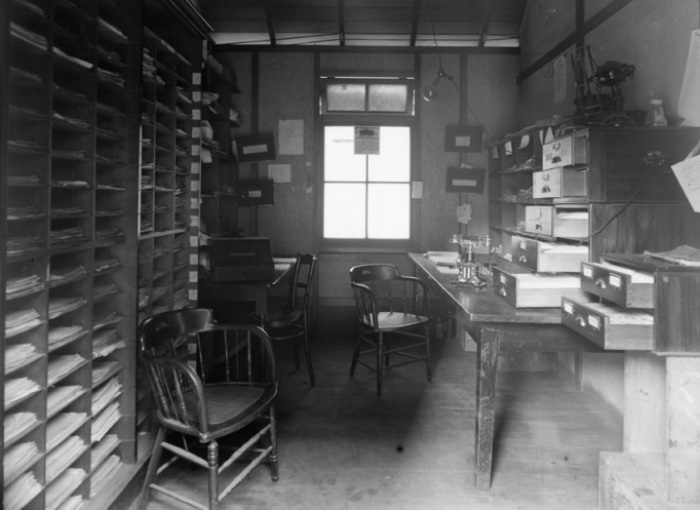 Inside the recruiting station in Auckland by Henry Winkelmann, 23 April 1917. This photograph has no known copyright restrictions. Please acknowledge the 'Sir George Grey Special Collections, Auckland Libraries' if you re-use it. 1-W1599.